Gallery Openings | I am Chubby Bunny! Sweet Streets: Spank! x Chubby Bunny event report! Wow! Can’t believe it’s already been so long since Sweet Streets! Sorry for the delay in updates, but it’s been busy busy busy here as the holidays approach! We just finished our video from the night! Check out exclusive interviews with Spank! owner Tavuchi, myself, and Sweet Streets curator Caro, as well as lots of behind the scenes film from the day! 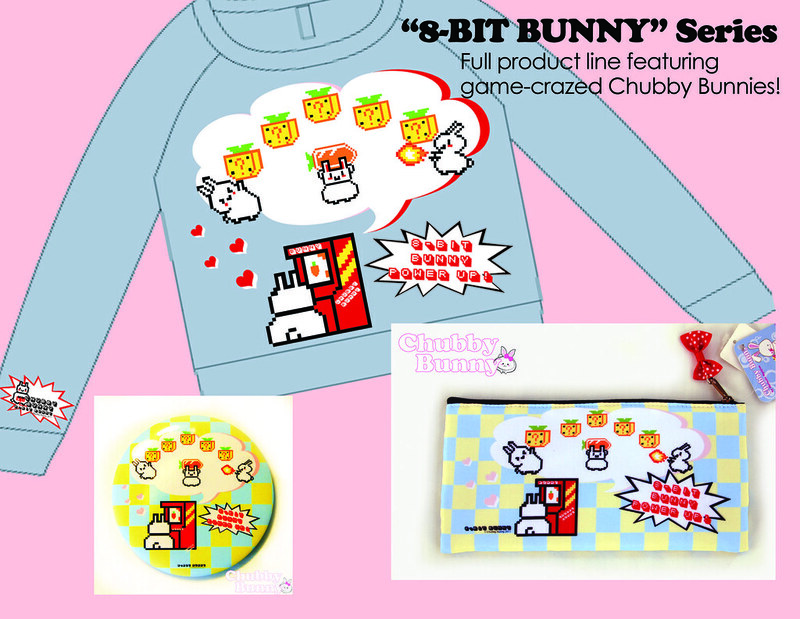 Sweet Streets: Chubby Bunny + SPANK! Fashion Show and Pop Up store video! Below are some pics from the Chubby Bunny x Spank! 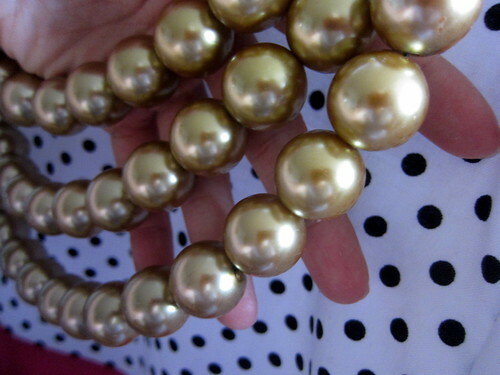 pop up shop, fashion show, and Sweet Streets opening! SPANK! x Chubby Bunny Pop Up Shop Preview Pt 2! Hey everyone! We’re working day and night making super cute products for you guys for the big pop up store and fashion show coming up this Saturday at Sweet Streets! <–RSVP here! Here are more preview pics of the items that will be in the pop up store! Each item is extremely limited in run so please be sure to arrive EARLY to get the best choice of goods! Our new "8-Bit Bunny" series! Lost more after the jump! Event Recap: Chubby Bunny at the Locketship Anniversary “Galactic Glitter” Party! On Saturday, November 12, we were excited to bring our Chubby Bunny booth to help Locketship celebrate the anniversary of their brand! We have a few space-themed items of our own, and were happy to bring them along to the themed event! We also provided neat Chubby Bunny prizes for the costume contest giftbags! Everyone dressed up in their most out-of-this-world garb to get into the Galactic theme! This was my outfit for the night! My awesome friend Jenny made the skirt and I did the star cut outs and bolero. Super fast super simple and super space invader-like! Threw it on over another dress I already own for good sparkly measure, haha. Here, I'm pictured wearing the Chubby Bunny Purple Star Bow, and the Bunnies In Space Collaboration Bow in my hair! 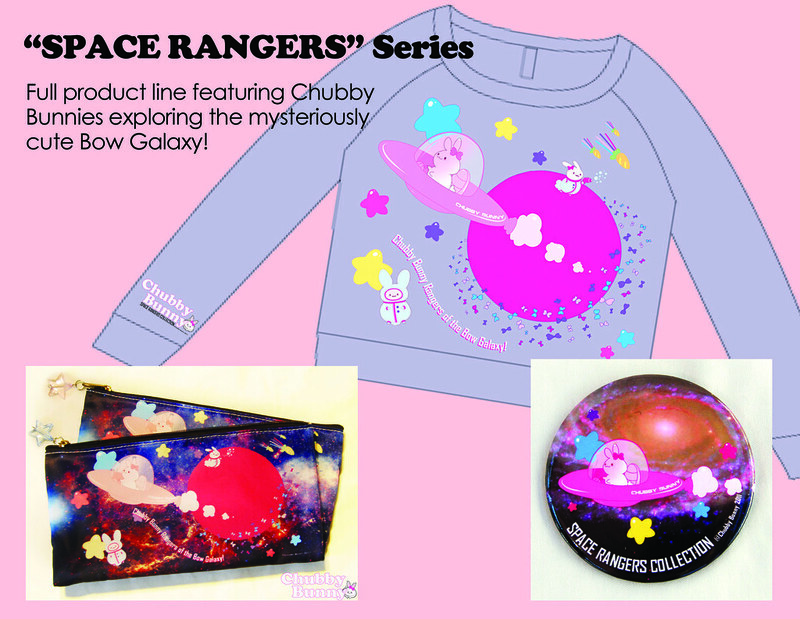 Locketship x Chubby Bunny Collaboration! Although I last posted about my collaboration with SPANK!, 1 week before that happens, I’ll be participating in another fun event! To celebrate the anniversary of my friend Maria’s brand, Locketship, we teamed up to make a super cute bow for her anniversary party, being held on November 12th from 7 – 11pm at Meltdown Comics! 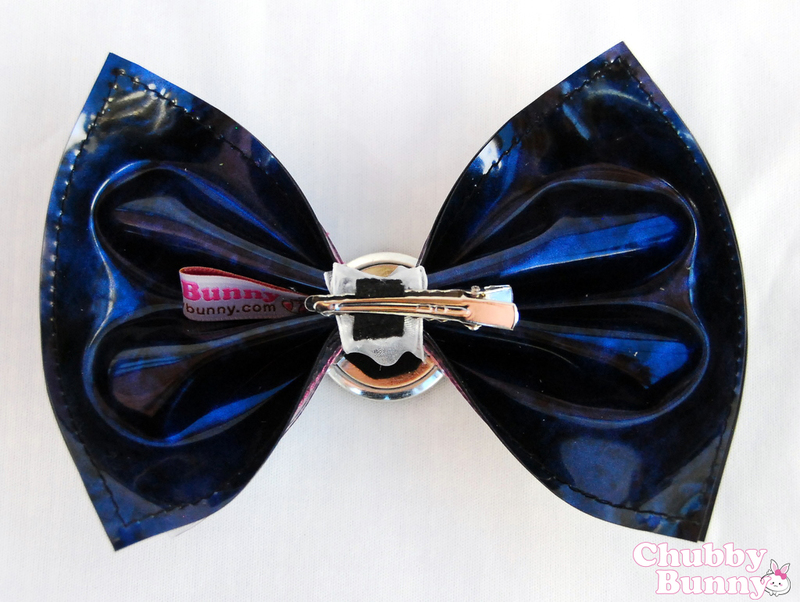 Locketship provided me with a super cute bunny pendant which I fashioned as the centerpiece for a super cute bow! Take a look below! 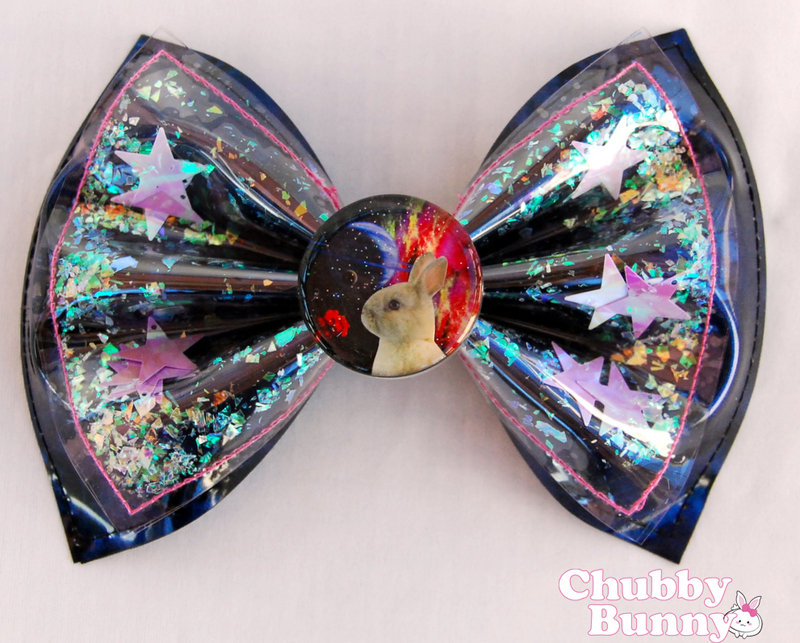 The bows feature a rabbit in space, situated on a double bow. 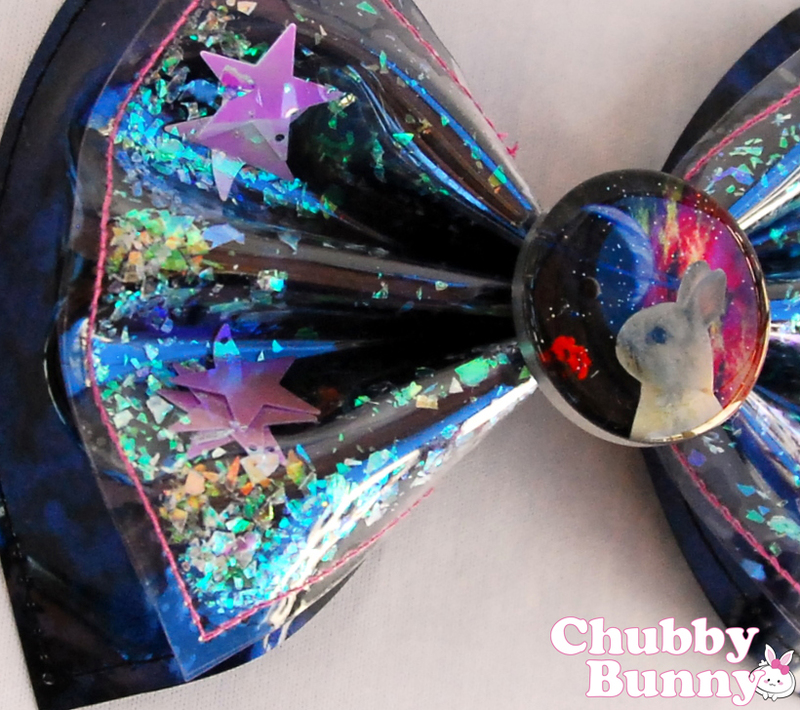 The top layer of the bow has glitter and stars in it, while the bottom layer has a marbled black and blue pattern on it that’s totally space-a-riffic! They’re are only 8 being produced for sale, and they are $24 each! This super special item will debut and be for sale at the Locketship Anniversary party! They are super limited, so we hope to see you there early!